We looked at dozens of photographers before stumbling upon Dan and his team. What struck us right away was how upfront and to the point he was about everything. I had so many conversations with other photographers who wouldn’t give me pricing or info until I sat through a 30- 60 minute sales pitch – so frustrating – but that was not the case with these guys. My initial inquiry went out at 11pm and 15 minutes later, I had a response with everything I needed. Even more importantly though, we felt right off the bat that the Dan cared about who we were as people and wanted to actually know more about us. My husband and I are artistically driven people, so naturally photography was a big deal to us. It’s a little scary, putting all your trust in someone you’ve never worked with to capture the most important day of your life, but after emailing back and forth with Dan and his partner/ girlfriend Bri, I knew we had a connection, and that they understood exactly where we were coming from and what we were looking for. Dan shot our engagement photos, and they were absolute magic. He’s got a sharp eye and knows exactly how to make you feel comfortable in front of a camera, not to mention he’s just the nicest, funniest and chillest guy out there. After seeing how great our engagement photos turned out, I decided to hire Dan and Bri to do boudoir photos session and make a boudoir book as a wedding gift for my husband on our wedding day. I was so nervous, but Dan and Bri made the experience so relaxed and fun. Dan is an absolute expert at using light and angles to your posing you to your advantage. The results were nothing short of beautiful, tasteful, and artful. Also I highly recommend using their hair and make up glam squad! For the grand finale, our wedding, we had Dan + Bri on photography and Phil on video. They are the dream team. What I love about their style is that they’re not the photographers who are always at your heels or in your face or in your guests’ way. We love that they are able to capture real moments that matter without making their presence constantly known. It made our day much more relaxed and allowed us to just enjoy it all. The photos from our wedding day spot on capture the pure joy and love between my husband and I and from all of our friends and family. We cannot wait to see how our video turns out! Lastly, I want to say that with Dan and his team, you don’t just book them and say “ok see ya” until your wedding day. 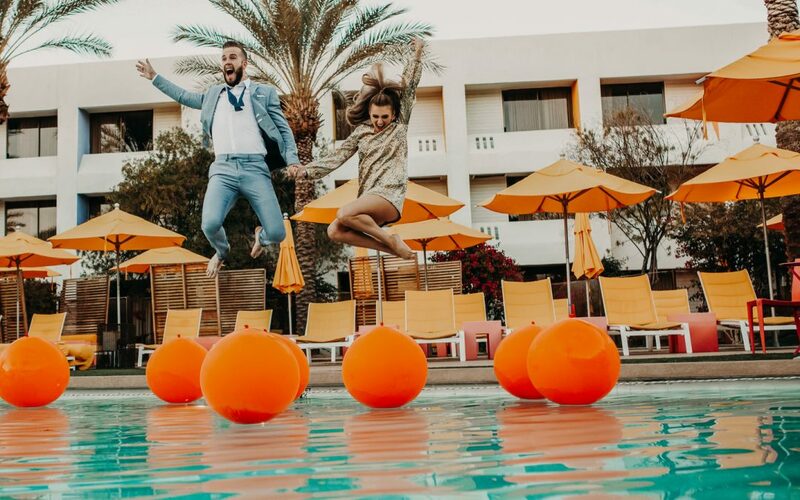 They are super responsive over text, phone, email, face time and Skype they’ve created a open platform on Instagram and Facebook to share ongoing advice and wedding inspiration. It’s another way that Dan and his team stay communicative, transparent, and real with you. I learned/gained so much from the them leading up to our wedding. It’s truly a value-add to the entire team experience, something you can’t put a dollar amount on. If wedding photography is equally as important to you as it was to us, you need the Dan and his team. Book them. Book them now.